Do you like practical and comfortable designs for your home? 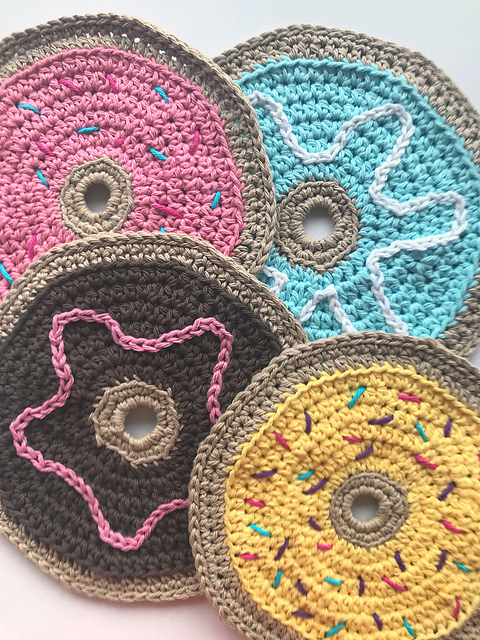 See sweet coasters for your kitchen. It is a very pleasant pattern to create. Washers look colorful and sweet. They will work great in your dining room or kitchen. They are very practical. You will use them for everything. Charm your guests. The pattern is simple and fast in crocheting. It’s a free pattern. I recommend. 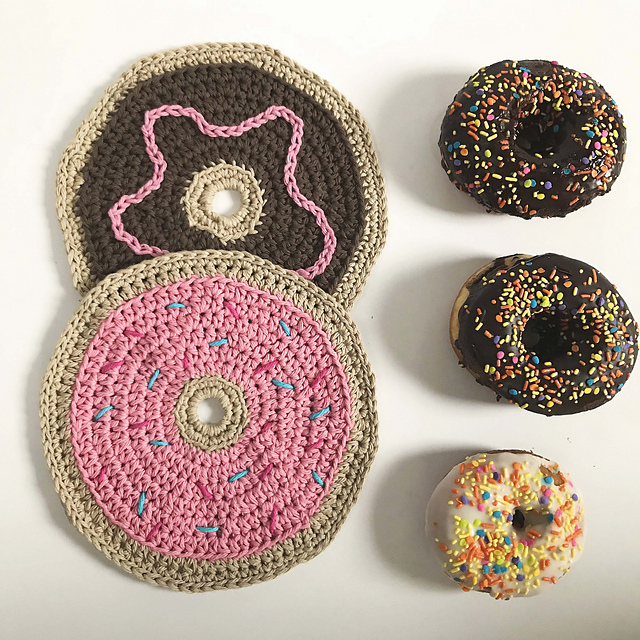 Donut Dishcloth Free Crochet Pattern is here.